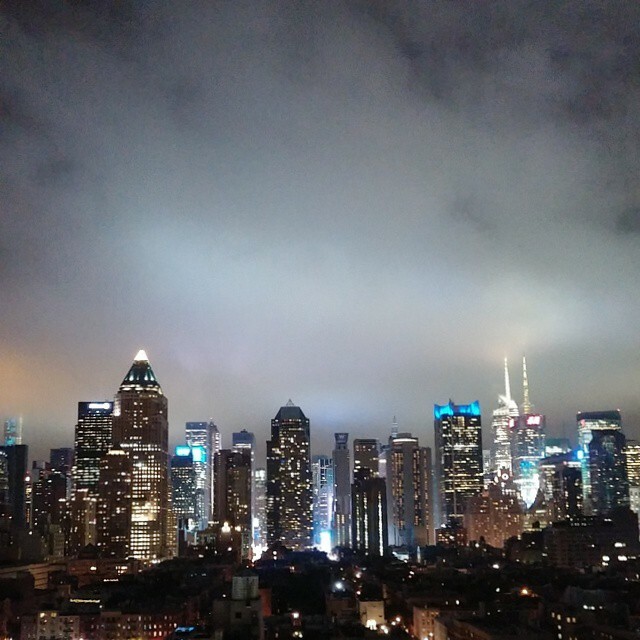 New York by night: view from the roofdeck at Ink48, looking out over Hell’s Kitchen toward Times Square. My most recent trip to New York City – which I think of as not the Big Apple but the Big Truffle because of the abundance of chocolate deliciousness – was quick but scrumptious. 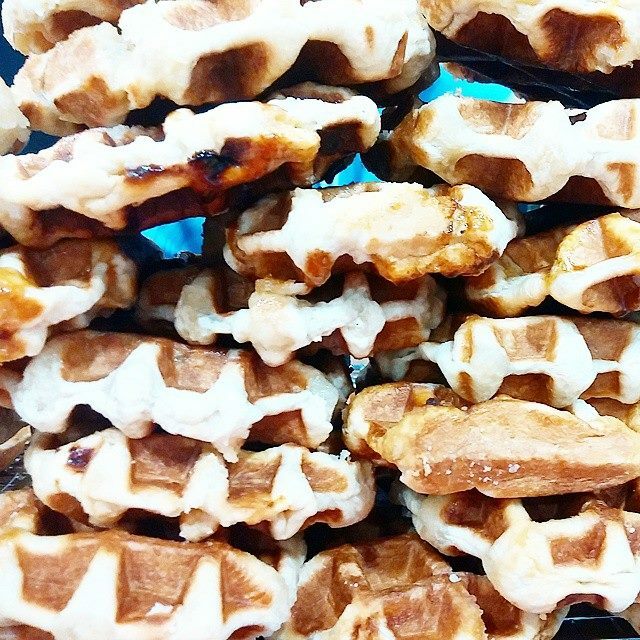 I was in town for the annual Fancy Food Show this summer (click here for my blog post on the 3 main trends I tracked there! ), and in between Show visits, I took the opportunity to visit some of my favorite chocolate spots and other venues, while also scouting some new ones. Since my time on this short trip was quite limited, I focused mainly on Manhattan’s much-transformed Hell’s Kitchen neighborhood, one of my favorites in NYC, because its central location west of the Theatre District and Times Square, and along the Hudson River, makes it easy to get downtown or uptown; it’s filled with wonderful bakeries and restaurants; and the Fancy Food Show at the Javits Center is within walking distance.This once-gritty neighborhood was the setting of the original Law & Order TV shows (that sound effect!). Today the neighborhood is part “gayborhood,” part chocolate and pastry paradise, and all delight. 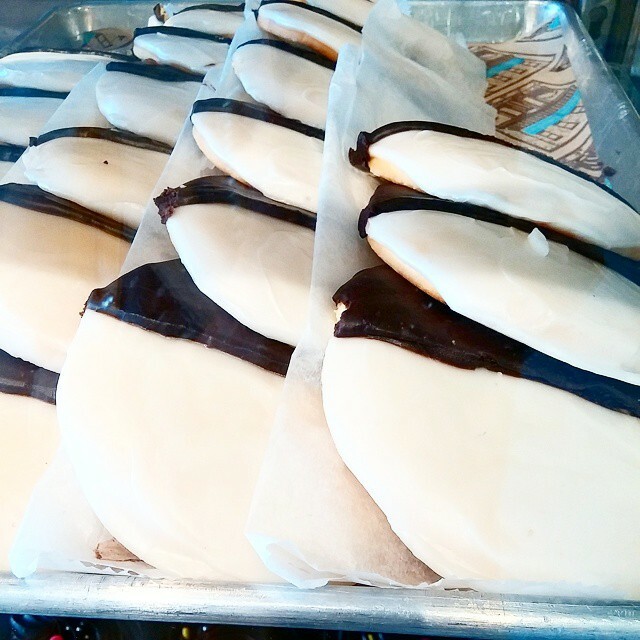 It’s not a visit to NYC without a classic black-and-white cookie. 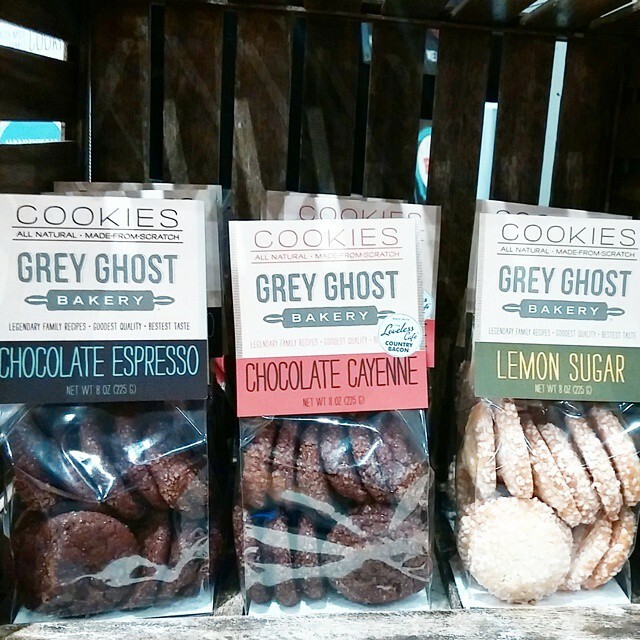 My favorites are at Amy’s Bread; her Hell’s Kitchen bakery is her original location of three. I accidentally photobombed Sullivan Street Bakery chef/owner/star Jim Lahey while he was being taped for a French-Canadian tv show. 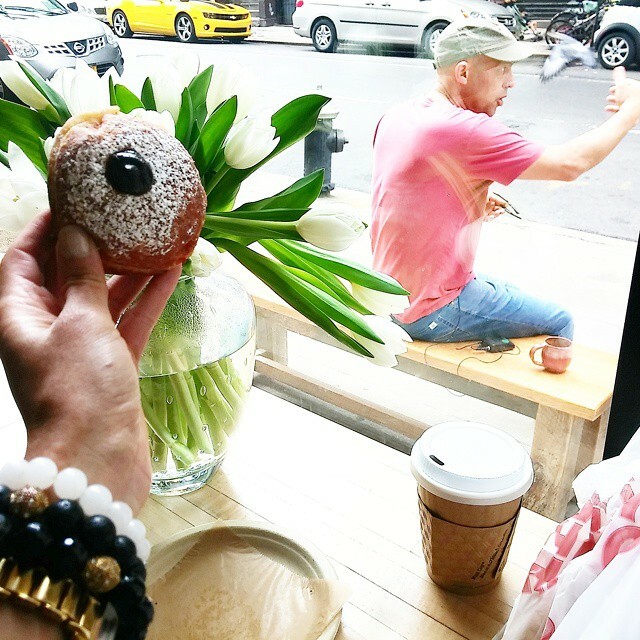 His bomboloni / Italian doughnuts are just so good; I have a chocolate one for breakfast every day I’m in the neighborhood. After he finished taping, we had a good chat about cocoa nibs. You might say I “hailed a cookie” at Donna Bell’s Bake Shop, a Southern-inspired bakery co-owned by NCIS actress Pauley Perrette and named after her late mother. Actually I snapped this photo around the corner from the bakery, against a taxi-themed window, while a little cluster of (other) tourists gathered to watch! 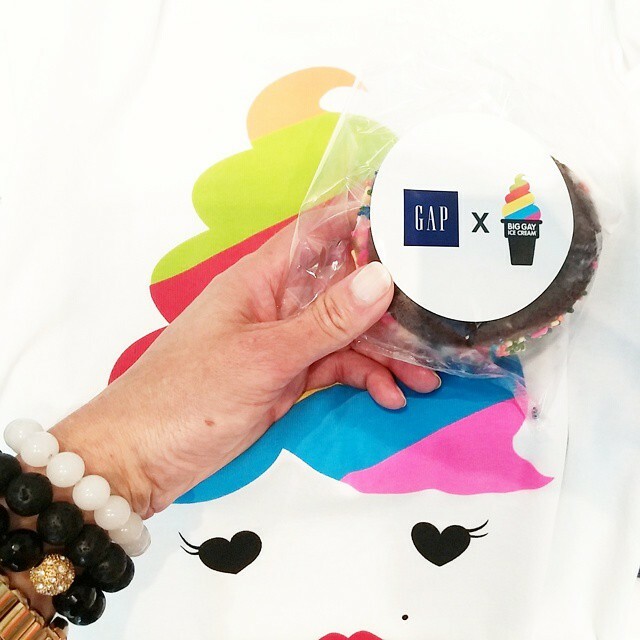 Had a blast at the Gap x Big Gay Ice Cream collaboration at the clothing brand’s Fifth Avenue flagship store. 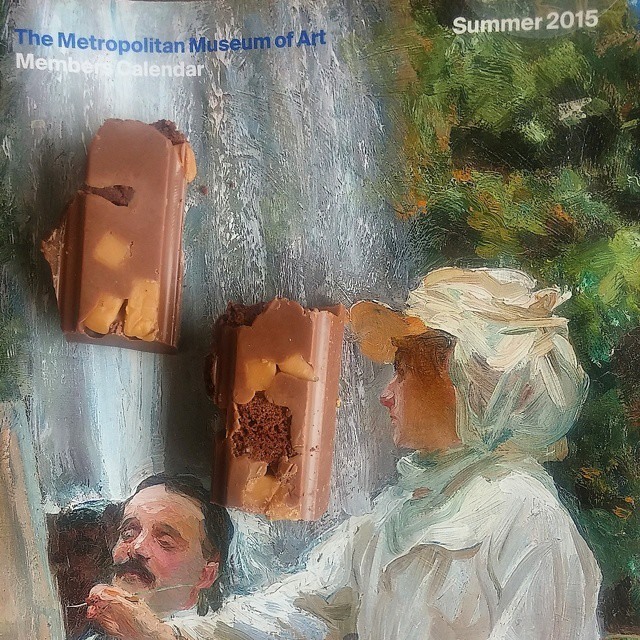 It was a hot day, so I ate that delicious ice cream sandwich fast. What happened to my new collab tshirt, shown here as the background, after I returned to Chicago? Click to find out! While planning my visit to the Metropolitan Museum of Art, I enjoyed a bite or two of delicious new in-development Dutch brand Johnny Doodle Chocolate – this was the fudge brownie flavor – which a company executive was kind enough to bring from The Netherlands to the NYC Fancy Food Show for me to try, since we were both in town. 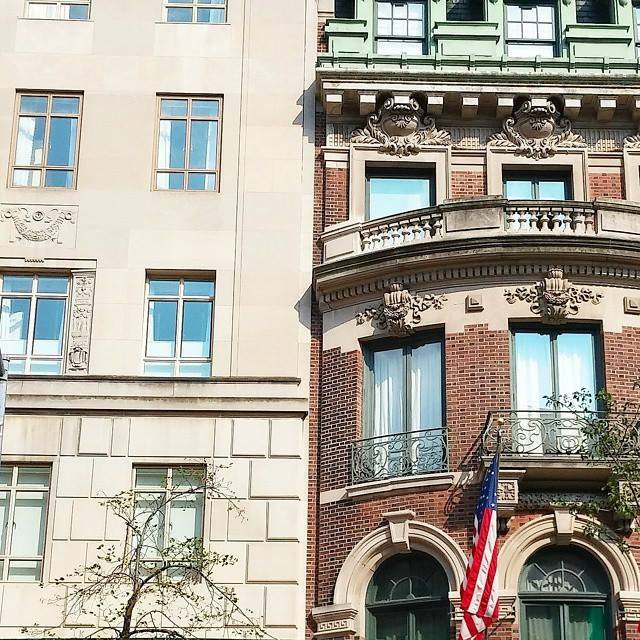 The Upper East Side, near the Met Museum. I walked the 2.5 miles to the UES from Hell’s Kitchen, and took an Uber back. Can’t get enough New York? Same here! 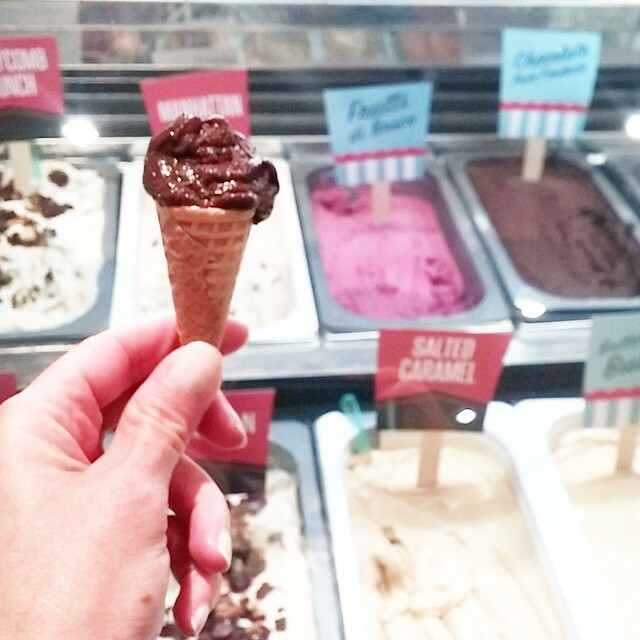 Click for my previous posts on Sweet Soho, and 3 Chocolatey NYC Neighborhoods. 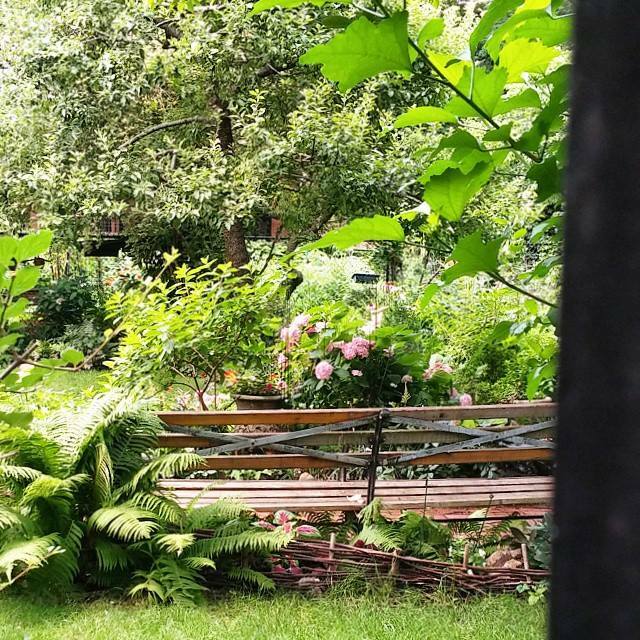 Secret community garden, Hell’s Kitchen. 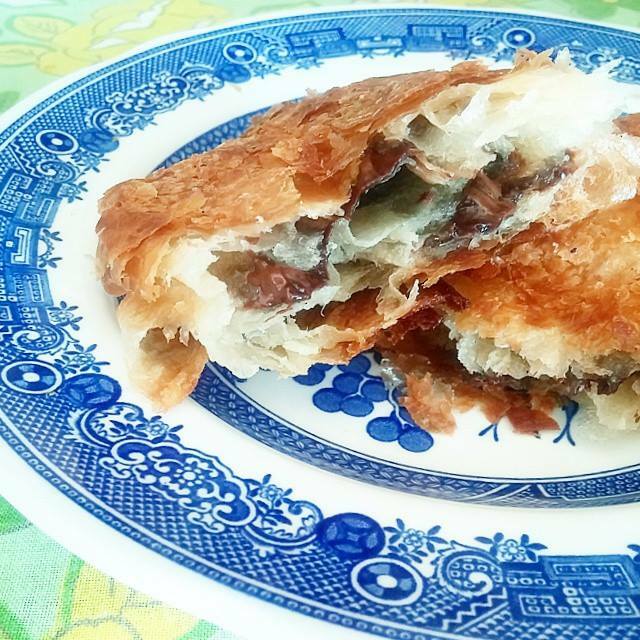 Sweet souvenir: this extremely chocolatey croissant from Sullivan Street Bakery sneaked home with me. 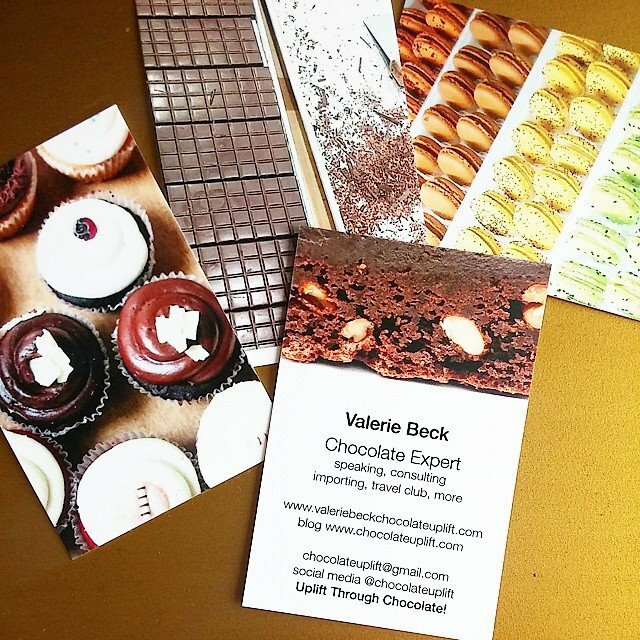 Fresh new business cards from moo arrived just in time for my trip to the Fancy Food Show. 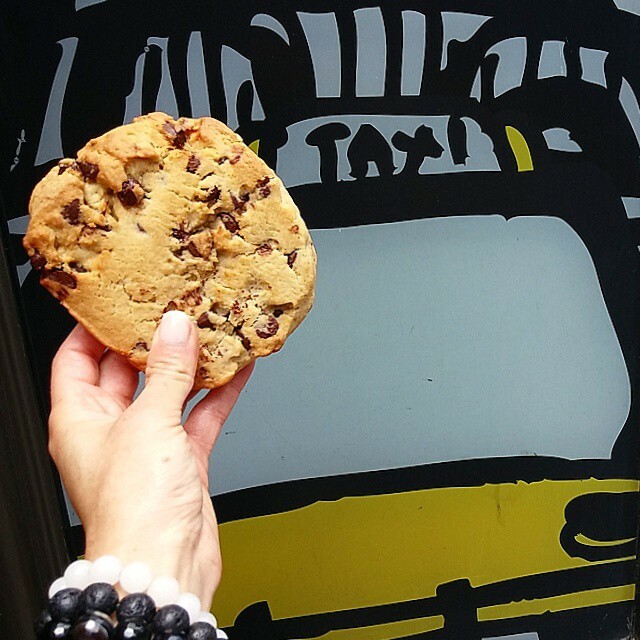 New York City – the “Big Apple” – turns into what I call the “Big Truffle” every summer during the Fancy Food Show. Chefs, brands, and chocolate makers from across the country and around the world set up displays, so that retailers, the media, and brokers can come see and sample what’s new. As a chocolate consultant and broker, who never misses a chance to visit friends, clients, and my favorite shops and museums in NYC, the Fancy Food Show is a joy every year. 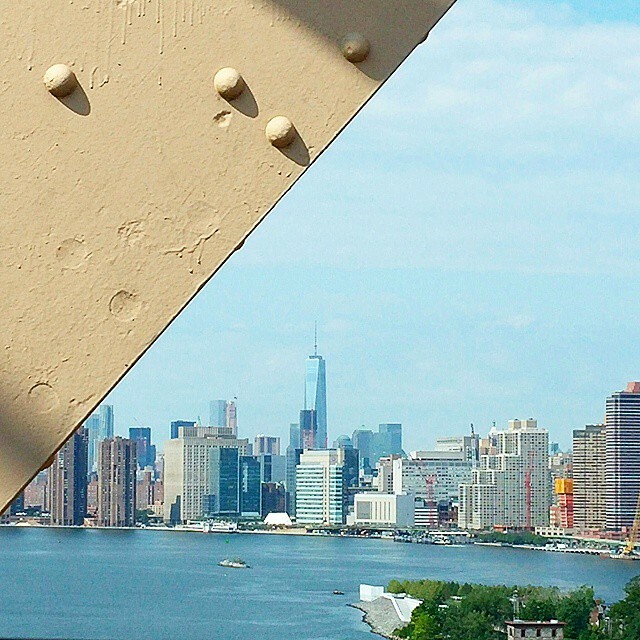 Good morning, NYC and Freedom Tower, from the Queensboro Bridge. The trends I focused on at the Show this year were craft chocolate (small-batch chocolate made from fair trade or direct trade cacao), fine chocolate (made with premium ingredients for chefs and consumers), and fine pastry and dessert (made with premium ingredients). While in NYC I also received a special delivery of a new Dutch chocolate brand not yet sold in the States, attended a mini college reunion for classmates who live in or near New York or who like me were traveling there, and did some chocolate scouting (click here for the separate blog post on the heavenly chocolate and pastry I scouted) – scroll on for Fancy Food Show deliciousness! 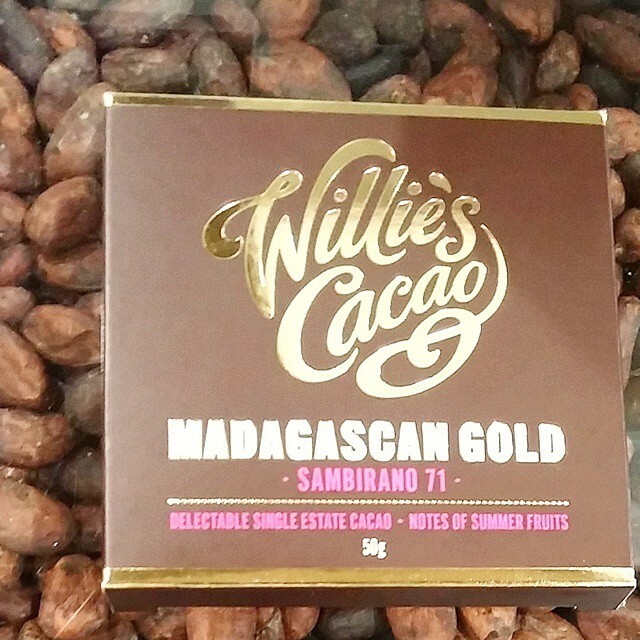 One of the absolute best chocolate bars I have tasted in some time: Madagascar by Willie’s Cacao of England. Exquisitely smooth, pure, flavorful craft chocolate, with a fruity zing. 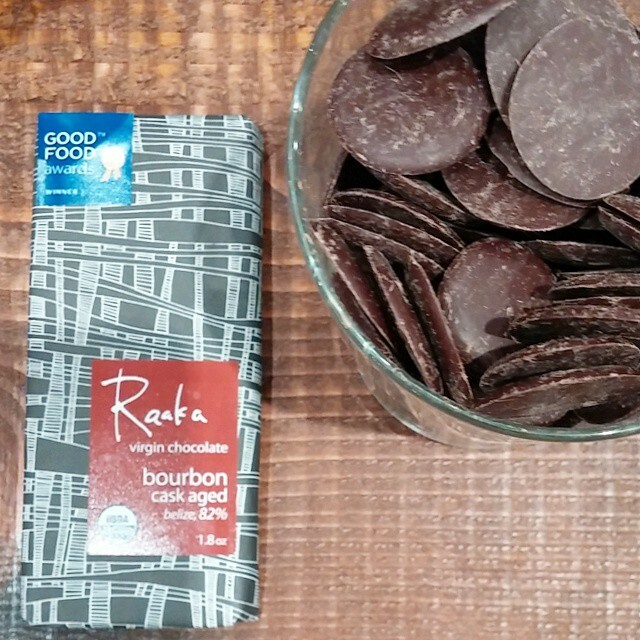 Raw organic craft chocolate by Raaka of Brooklyn, Belize origin, aged in bourbon casks, for a rich and appealing intensity. 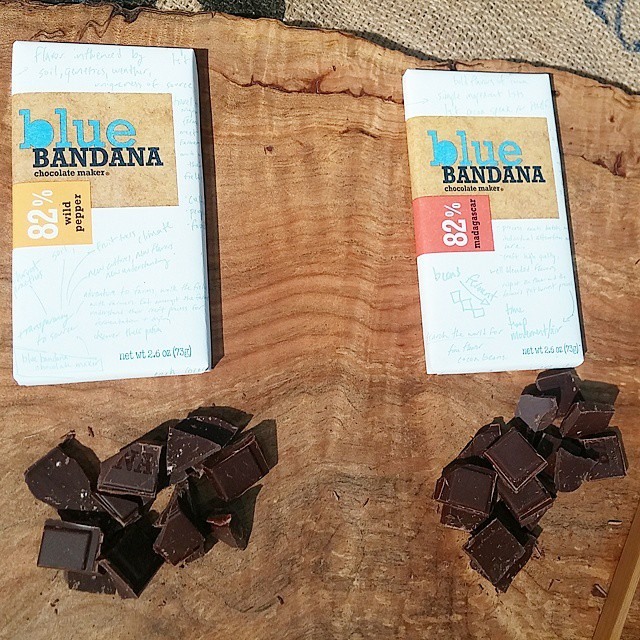 Blue Bandana craft chocolate, a promising new brand that is part of Lake Champlain Chocolates of Vermont. 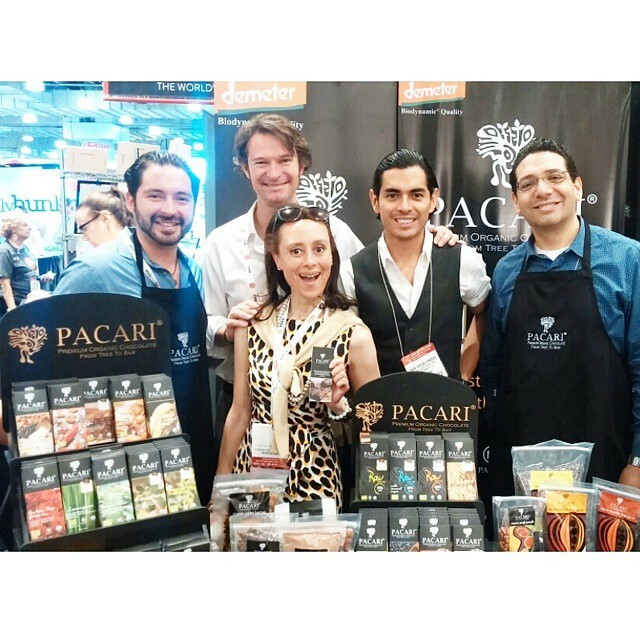 Having fun with Pacari founder Santiago Peralta and Team Pacari, who came all the way from enchanting Ecuador with some enchanting new flavors such as rose chocolate, and my favorite lemongrass chocolate! 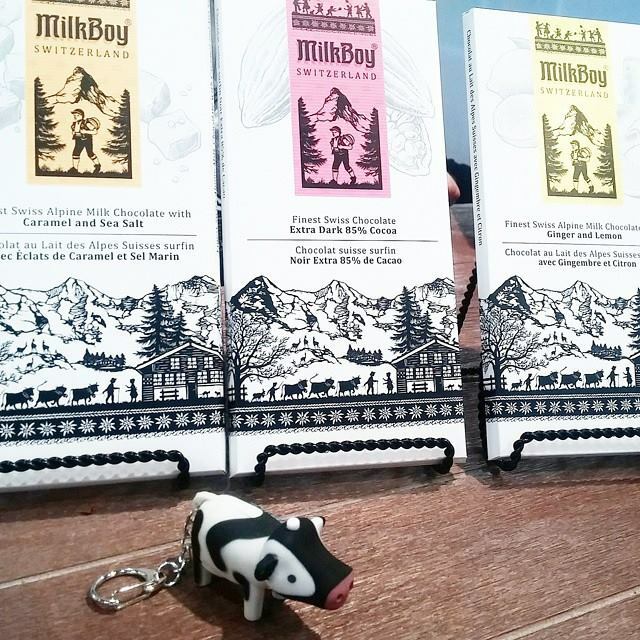 Made in Switzerland, finished in Brooklyn, organic and accessible Milkboy Chocolate. Loved the ultra-premium vegan chocolate gelato and more by James Beard award-winning chef Nancy Silverton of Nancy’s Fancy. 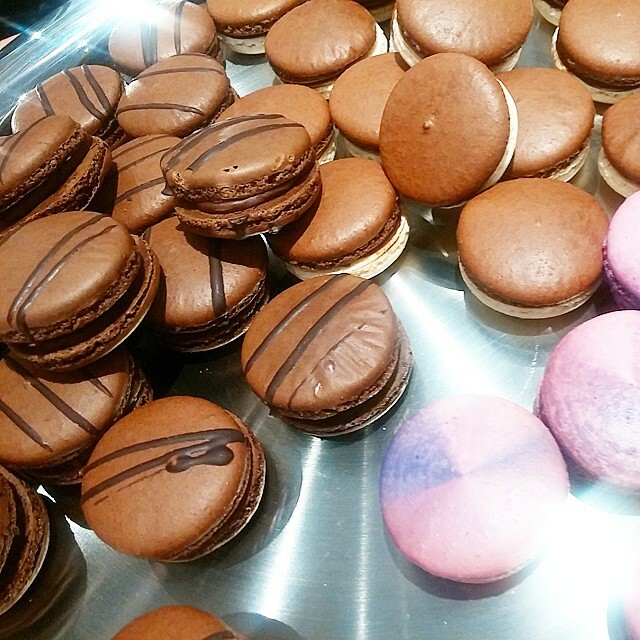 The new macaron kits from Dana’s Bakery grabbed a lot of fun attention. 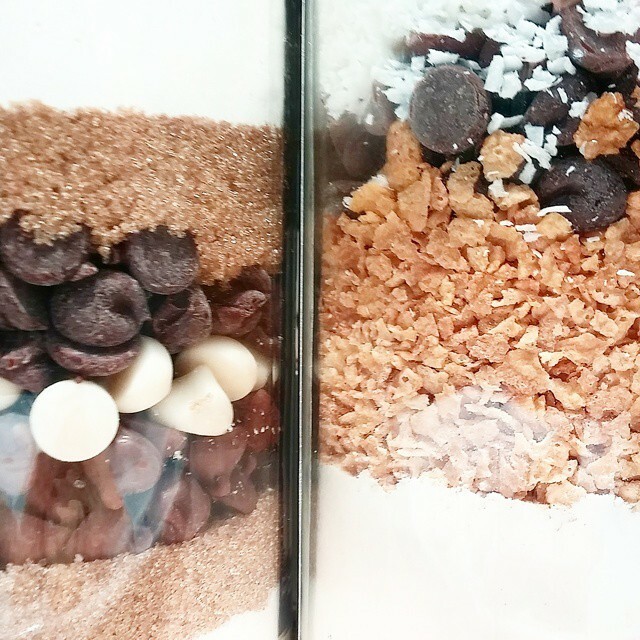 Creative cookie-mix-in-a-jar by Sisters Gourmet. I love placing great artisan brands into great upscale stores, and am already looking forward to the next Fancy Food Show. 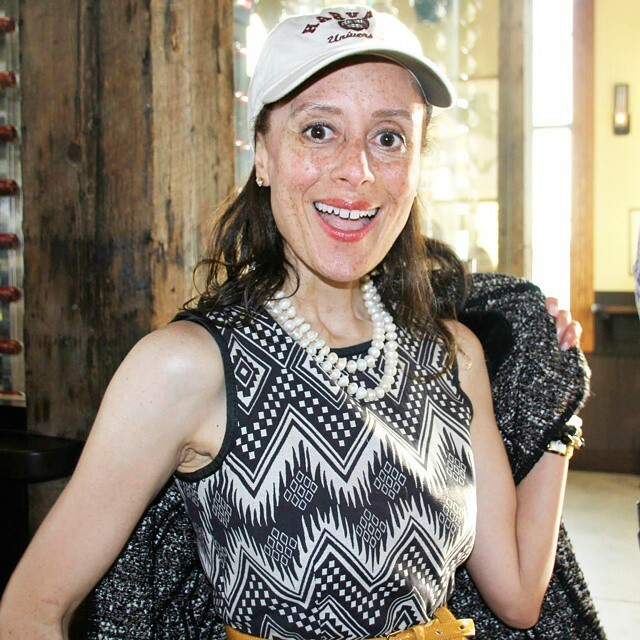 I met up with my Harvard College reunion class for a New York mini reunion while in town, wearing my very first baseball cap ever, which I purchased a month earlier at our full reunion on campus. We had a blast, and one classmate had a way of snapping fun semi-candids! I sampled this tasty new in-development Dutch brand Johnny Doodle – organic, of course – to my mini reunion gathering, which I had just received from a brand executive who brought it to me at the Show in NYC from The Netherlands. 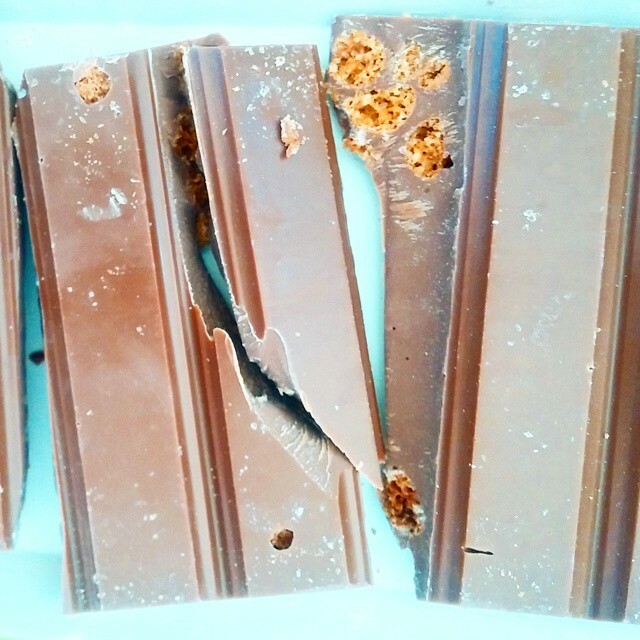 Everyone loved the milk chocolate with speculoos (waffle cookie), with one taste tester/classmate proclaiming that it tasted like an upscale twix bar!